My son started walking when he was 11 months, and by the time his first birthday rolled around he was sprinting. He must have inherited that trait from me, for this is only my fifth post on my shiny new blog, and I am already asking to be considered for the Simon Says Stamp Challenge design team. Of course, he did trip and fall... a lot... On to more positive thoughts - I did stop by to check out some of the other lovely cards from other design team hopefuls and there is a tremendous amount of talent out there. The gal(s) who are charged with making a decision have none of my envy. Best of luck to everyone! I started with 3 French wires (used to make earrings) and cut off the part that the beads would normally attach to. 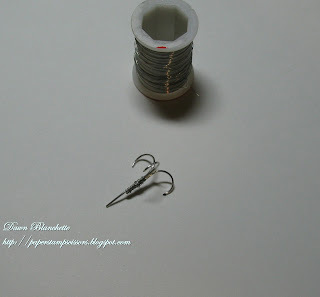 I then attached them together using really thin wire. I placed a dollop of glue to make sure they stay evenly distributed and allowed to dry completely. Trim two of the ends, leaving the third one long. I then wrapped another thicker wire around the hooks and left a long working tail. Alternatively, you could use some half hard wire and curl it into hooks using a round object as a guide (a big marker would work well). Leave one of the tails long and trim the other two short. Next I glued on some feathers, donated by my down comforter, though I understand these can also be purchased at a craft store. 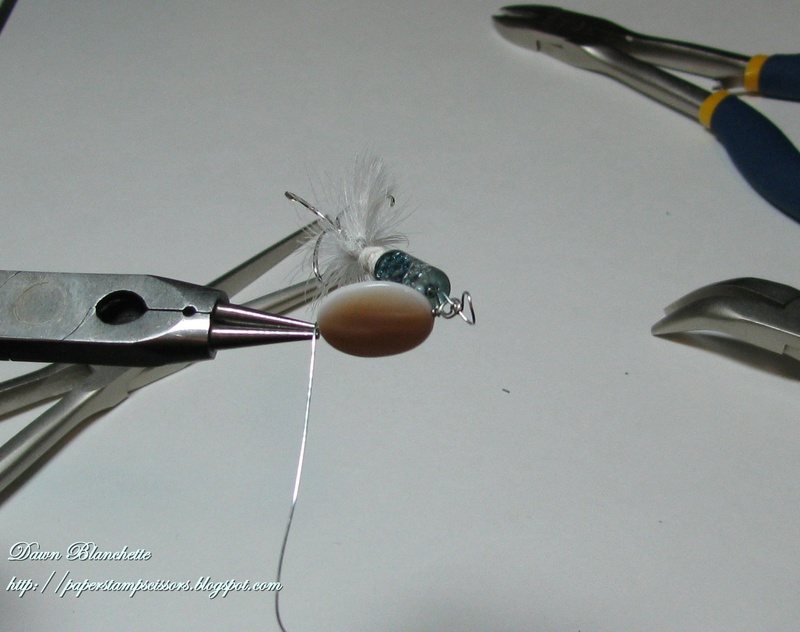 I then wrapped some cord around the tops of the feathers and glued it in place. 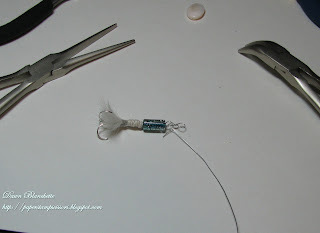 String a bead onto the wire. About 5mm (~1/4inch) above the bead, form a loop in the wire and then wrap the loose end back around the wire several times. 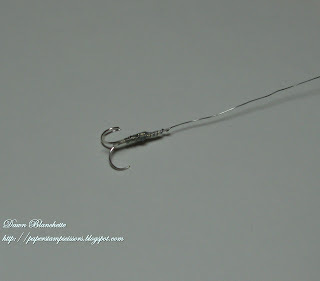 Form another loop, as shown and again wrap the tail end around the wire several more times. Trim the tail. If you do not have round nose pliers, you can use any round object you happen to have on hand (a skewer, the tip of a pencil). 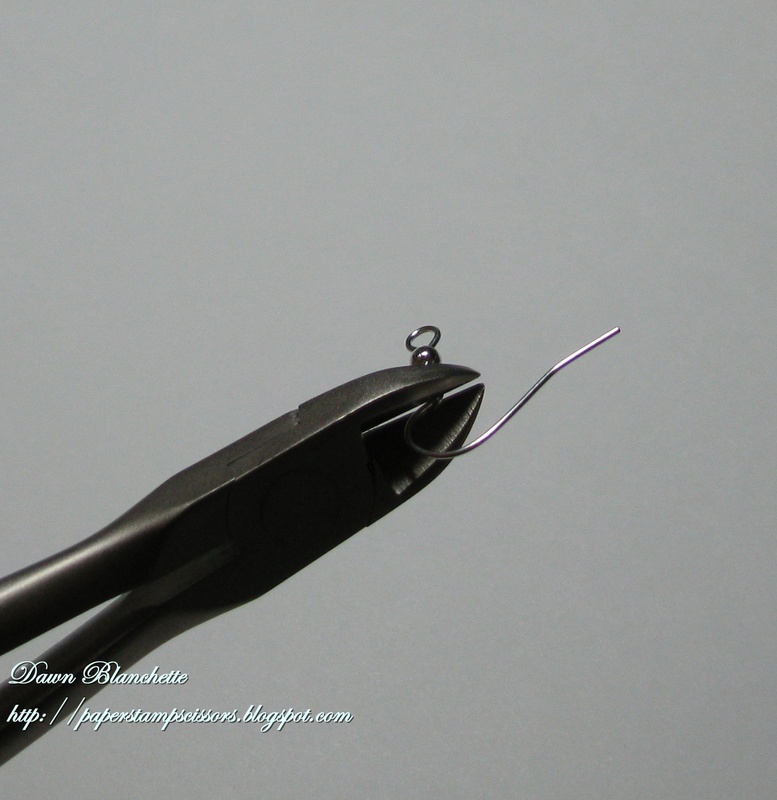 The dangling bead is added by making a loop near the end of a piece of wire. 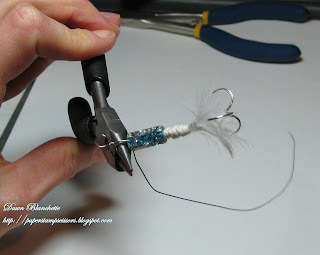 Open the loop and insert it into the first loop above the bead. 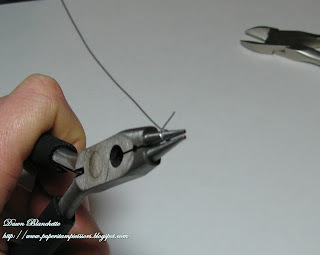 Close the loop back up and wrap the wire around itself. String the bead on and wrap the tail twice in a small circle to secure it. Trim the tail. Thank you for stopping by! 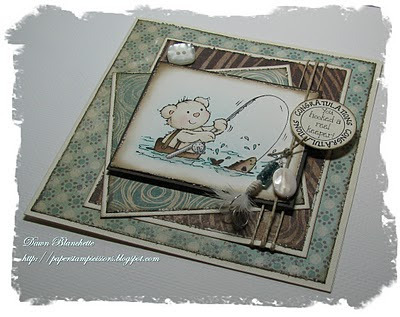 I hope you enjoyed my card and tutorial. A big thank you to everyone who takes the time to leave me their thoughts - I really enjoy reading them. Thanks to the gals from Simon Says Stamp Challenge for their time and consideration! Designing along with their talented team would be incredibly fun. And last, but definitely not least, thank you to the gals who started following my blog! You have made my week! wow this is such a beautiful card! OMGosh this super cute, Dawn! 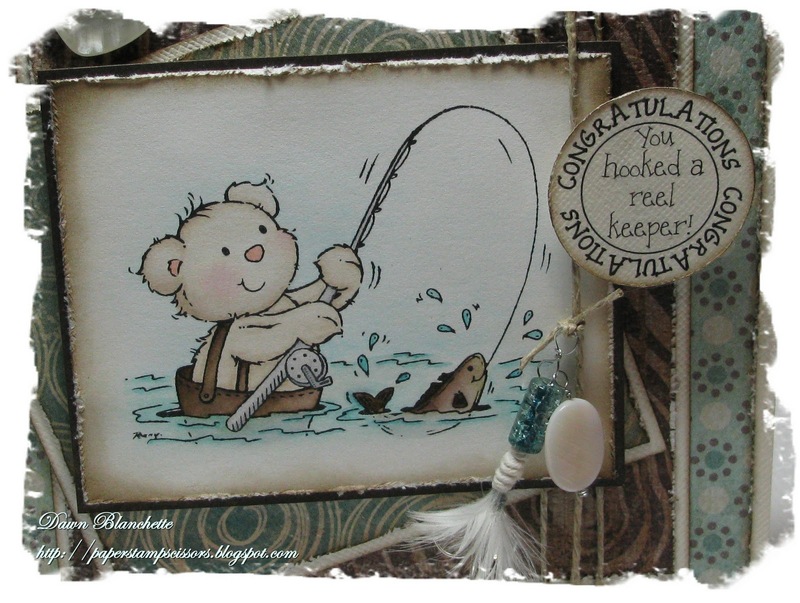 LOVE the lure...you could take up fly fishing now too , hun and make your flies,smile! 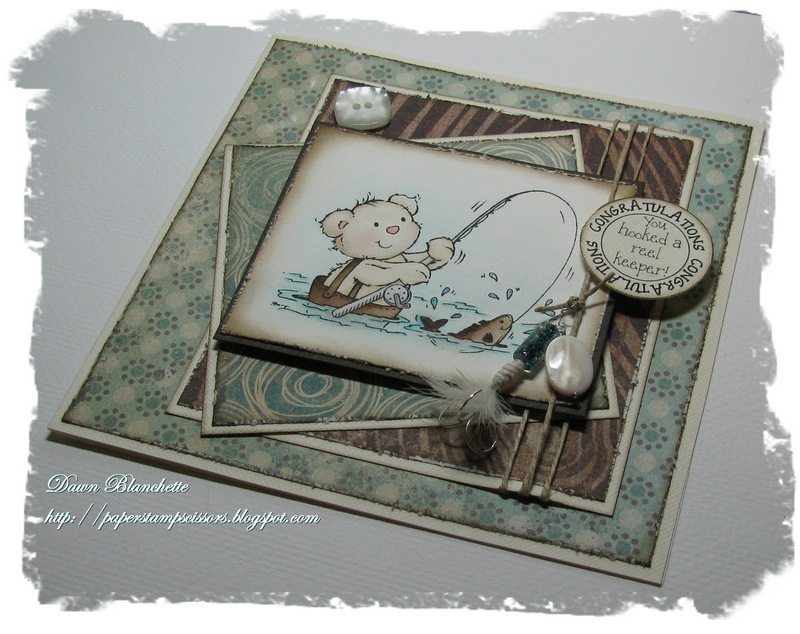 really love the sweet image and the beautiful papers and colours for the coffee and cream challenge! Thanks so much for joining us at Simon Says Stamp Challenge and best of luck with the DT call! 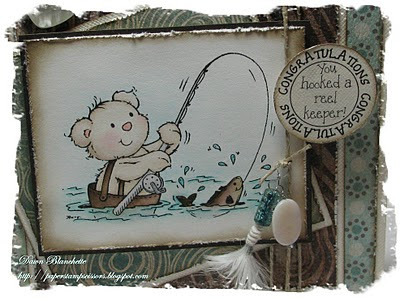 FANTASTIC... what a brilliant card... it sure "lured" me in! This is amazing! 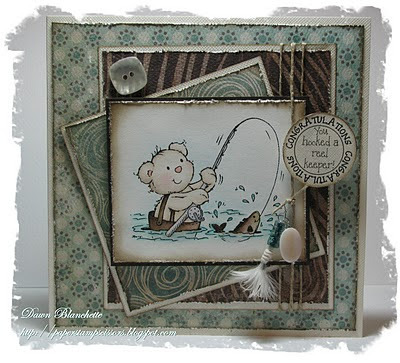 I love all those distressed layers, not to mention the originality of creting and embellishing with your own lure!